anybody else interested in the F-86 Sabre jet, the men who flew them, the places they were stationed and the way they lived. Welcome to US Air Base K-14, Kimpo, Korea. It's 1954. The Korean war is over, but the thrill of being a jet fighter pilot never ends. 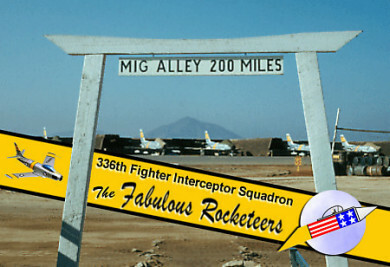 Here, among other images, you will find vintage color photographs of the USAF's F-86 Sabre jet fighter. These are not restored warbirds collecting dust in museums or flying in contemporary air shows; These show the F-86 Sabre jet in its natural habitat, the Korean theater, circa 1953-1954.